If following Jesus involves a life of sacrifice and suffering, is it wrong for a Christian to seek purpose and joy in this world? Many Christians sense a tension between their desire to enjoy life in this world—the beauty of God’s creation, the rich love of deep relationships with others—and the reality that this world is fallen and broken, in need of redemption. How can we embrace and thrive in the tension between enjoying creation and promoting redemption? By living out our God-given purpose. As “worldly saints,” created in the image of God, we are natural creatures with a supernatural purpose—to know and love God. Because we live in a world that is stained by the curse of sin, we must learn to embrace our nature as creatures created in the image of God while recognizing our desperate need for the grace that God offers to us in the gospel. Writing in a devotional style that is theologically rich, biblically accurate, and aimed at ordinary readers, Mike Wittmer helps readers understand who they are, why they are here, and the importance of the story they tell themselves. 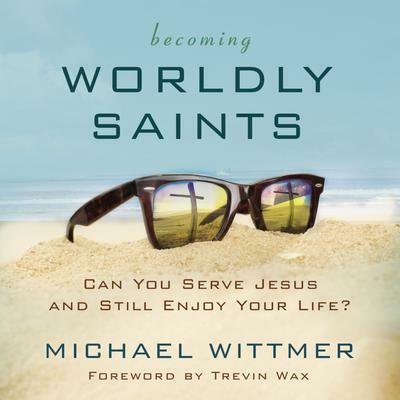 In Becoming Worldly Saints, he gives an integrated vision that shows how we can be heavenly minded in a way that leads to earthly good, empowering believers to seize the abundant life God has for them.